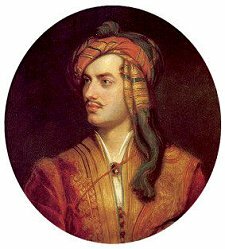 Lord Byron just turned 229 years old. “The greatest poetic genius of our century,” Lord Byron called Goethe. Lord Byron, one of the pulpiest of them all, 1788 – 1824. Nicole and I love Lord Byron. We have a book of his poetry but haven’t yet read Don Juan. One of my favorite of his poems is “To Caroline”. Great post! We love Goethe too and didn’t know they were friends. Hi Brittany. It’s coincidental you write. I was just thinking of your question and how best to answer it.